Sometimes you just have to make your favorite scones again because you had a scone over the weekend that was a scone in a biscuit outfit. Sometimes you don’t even care that the scone was a fake because you were having so much fun! Sometimes eating breakfast in the rain is the only way. And sometimes muffins are ridiculously pretty when there are cherries and raindrops in them. Antique shopping and french fries are always my favorite. 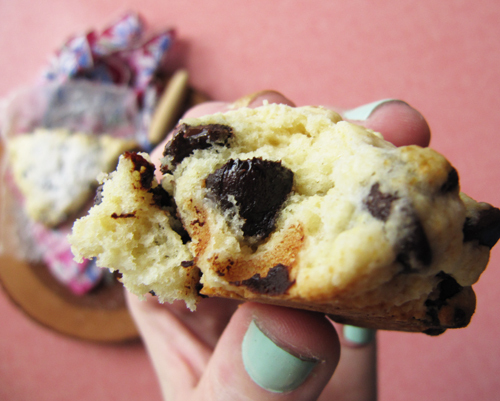 Homemade scones with chocolate in them are also on the top of my list. Because, after all, it means you can have chocolate for breakfast, and that is why breakfast is best. What I’m trying to say is, thanks! 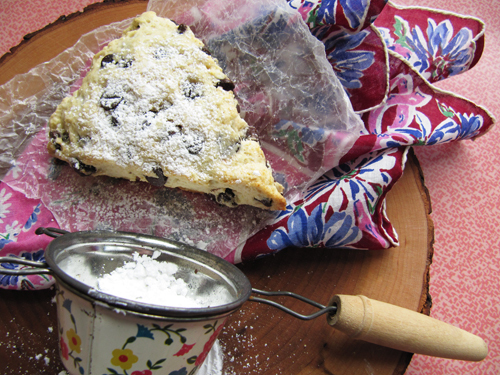 to my homegirl, Cindy, who is super-cool, and who has the best taste in flowered handkerchiefs (like the one under the wax paper, under the scone). Thanks for judging scones with me in the rain. We’ll cheers to weekend fun with our scones in scone outfits. Beat together the milk and egg and set aside. In a large bowl, whisk flour, baking powder, and salt. Rub butter into the flour mixture with your hands. Working until you have no lumps bigger than a pea. Add the sugar and chocolate chips. Stir or toss to mix. Take scant 1/4 cup of the milk/egg mixture and set aside to be used for a glaze. Whisk the vanilla into the remaining milk/egg mixture and add to the dry ingredients. Bring dough together gently with a wooden spoon. Turn dough out onto a lightly floured surface and knead it no more than 12 times. (12 is the magic number, so exceed at your own risk!) Pat dough into a round approximately 1/2 inch thick, and cut into 8 wedges. Place on an ungreased baking sheet. Using a pastry brush, glaze wedges with remaining milk/egg mixture. Bake for 10-15 minutes, or until golden. Cool on a rack. Serve with a light dusting of powdered sugar, if you want! You better believe I ate one of these scones while taking pictures. I’ll judge scones in the rain any day with you! 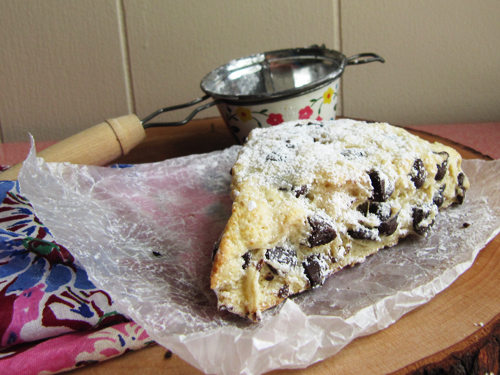 Chocolate chip scones are just my idea of scone heaven…fake biscuit scones not so much. Thanks for coming all the way over to Lansing so we could antique shop till we drop and not laugh at jazz fest teens. It was so fun! I can’t wait for more adventures! You girls sound like you had my kind of fun!! Food..friends..food..’old treasures!’ and mostly friends/food..
Yeah, Mom! 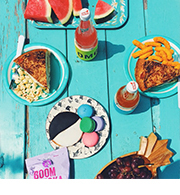 We know how to do it up. I hope we stumble across an estate sale when you’re in town again! That is a cute handkerchief! And I think I may make those tonight. 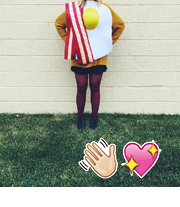 I’m definitely a chocolate for breakfast kind of girl. Thanks Lora-bora! You probably should make these right away! Oh you totally should make them! And thanks! I just found your site on a whim when searching for scone recipes last night… I was specifically looking for one that called for regular milk and not heavy cream or buttermilk. I made this recipe this morning. They came out great! Thanks! 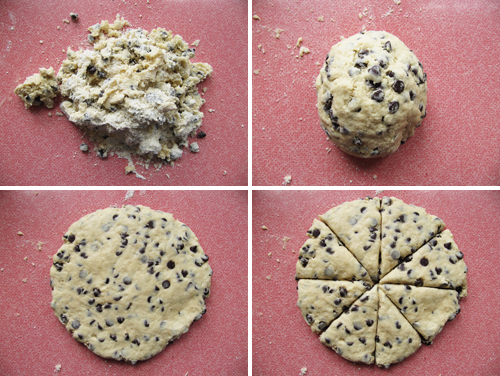 I’ve always wanted to try to make a scone. I deem your scone my first scone I shall ever bake. Whoopie!! Scones all around! Scones for pres!